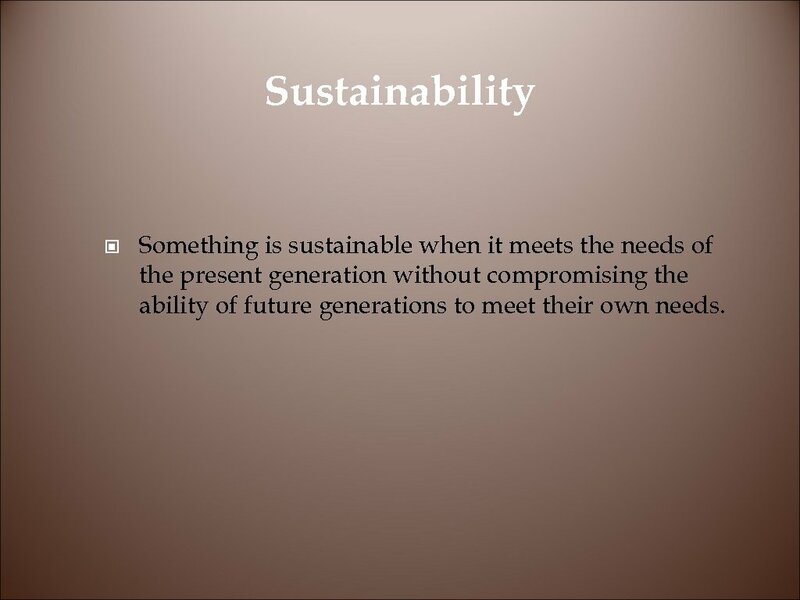 Sustainability © Something is sustainable when it meets the needs of the present generation without compromising the ability of future generations to meet their own needs. 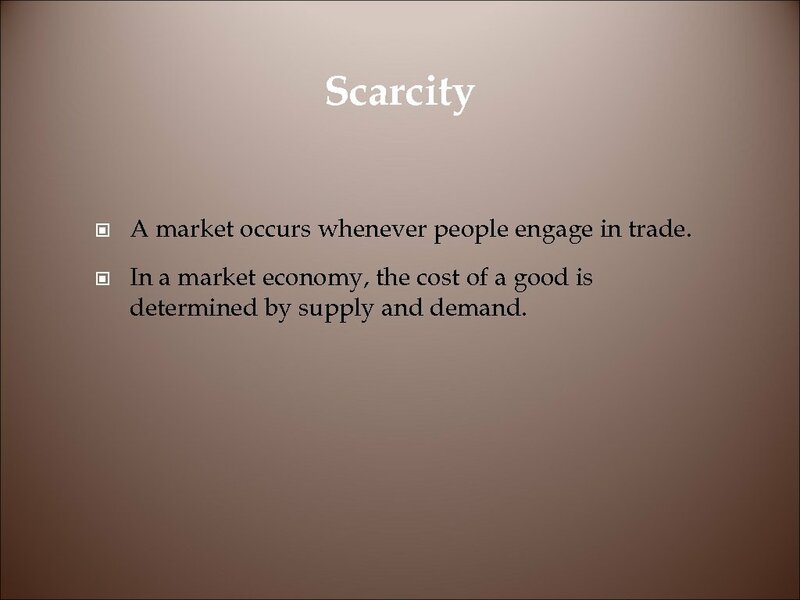 Scarcity © A market occurs whenever people engage in trade. 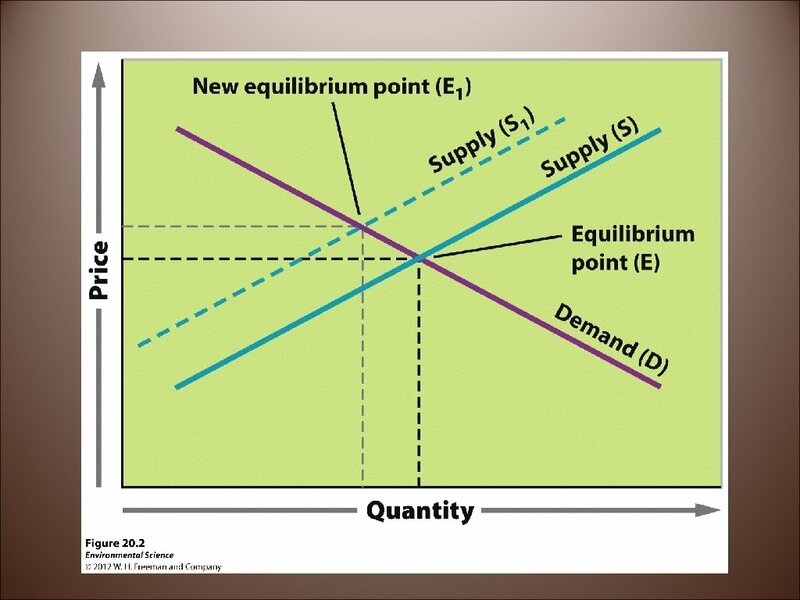 © In a market economy, the cost of a good is determined by supply and demand. 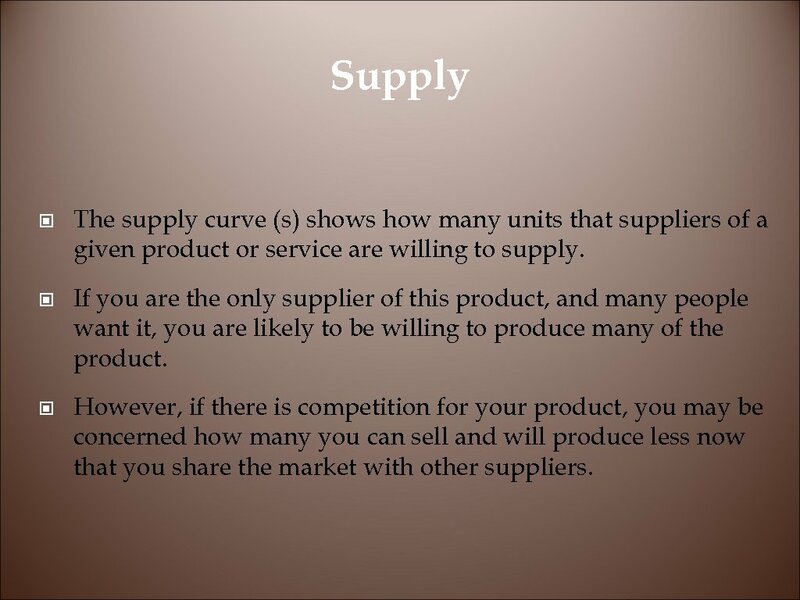 Supply © The supply curve (s) shows how many units that suppliers of a given product or service are willing to supply. 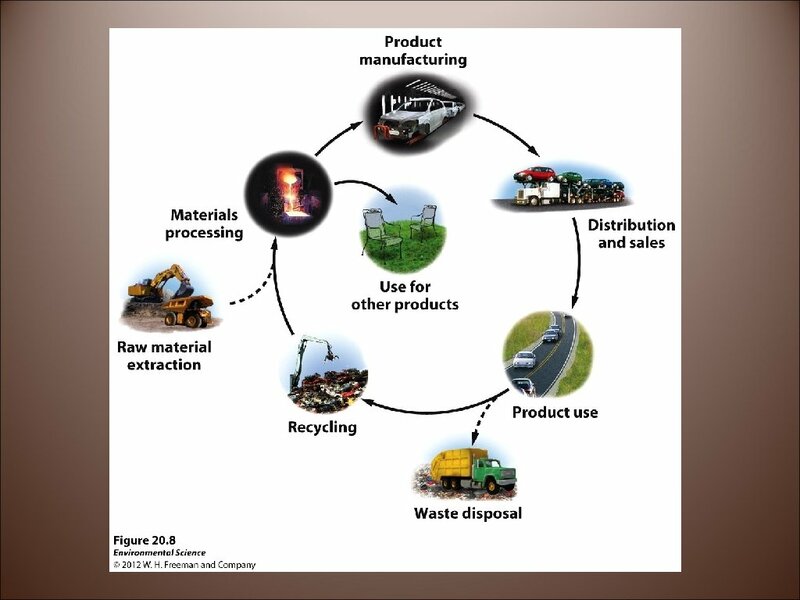 © If you are the only supplier of this product, and many people want it, you are likely to be willing to produce many of the product. 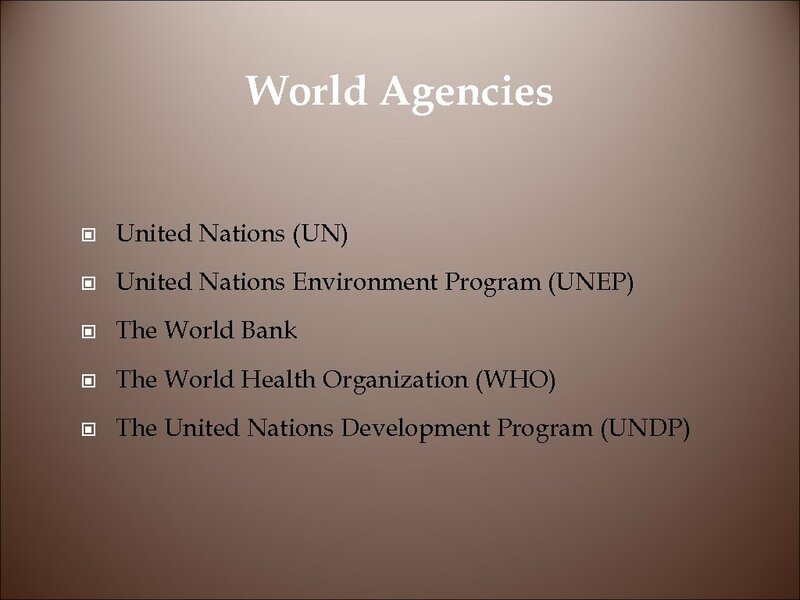 © However, if there is competition for your product, you may be concerned how many you can sell and will produce less now that you share the market with other suppliers. 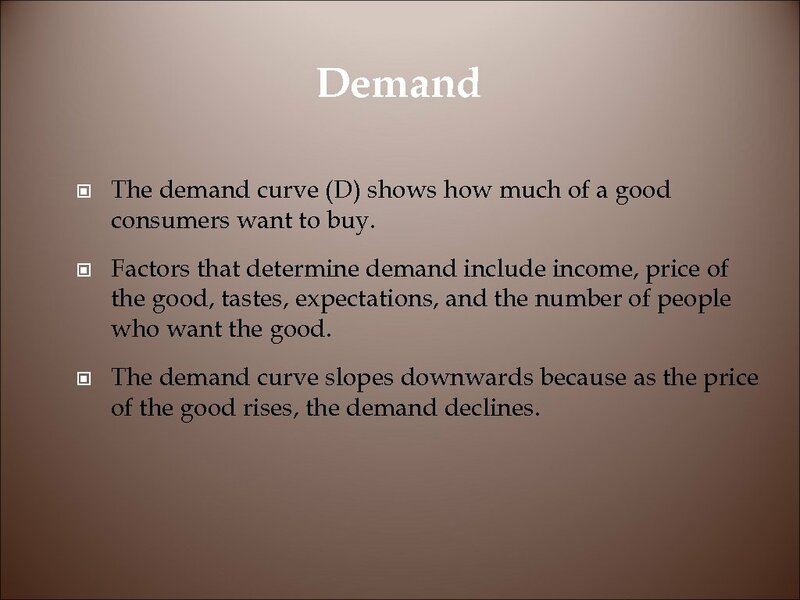 Demand © The demand curve (D) shows how much of a good consumers want to buy. 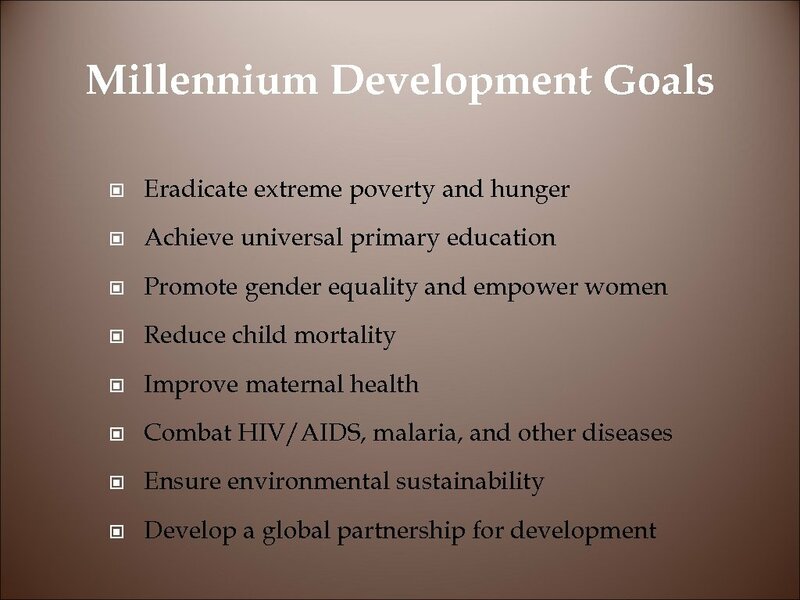 © Factors that determine demand include income, price of the good, tastes, expectations, and the number of people who want the good. 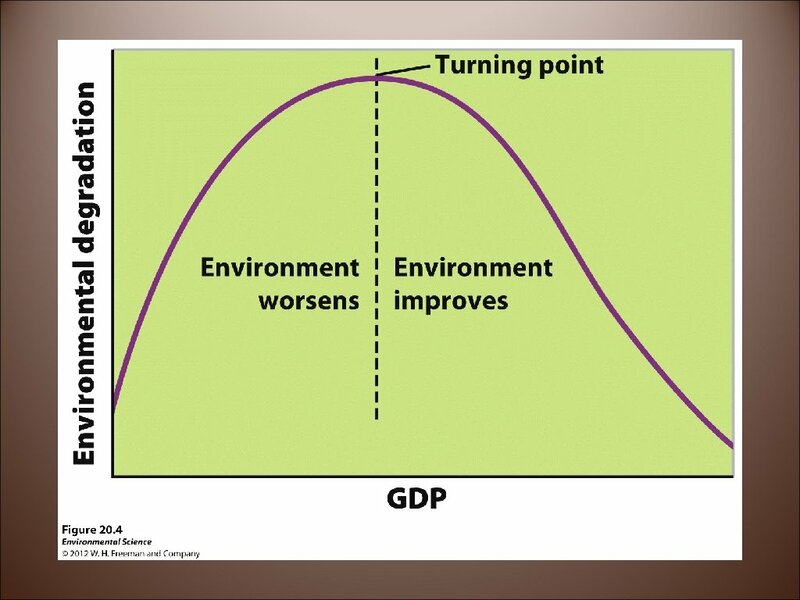 © The demand curve slopes downwards because as the price of the good rises, the demand declines. 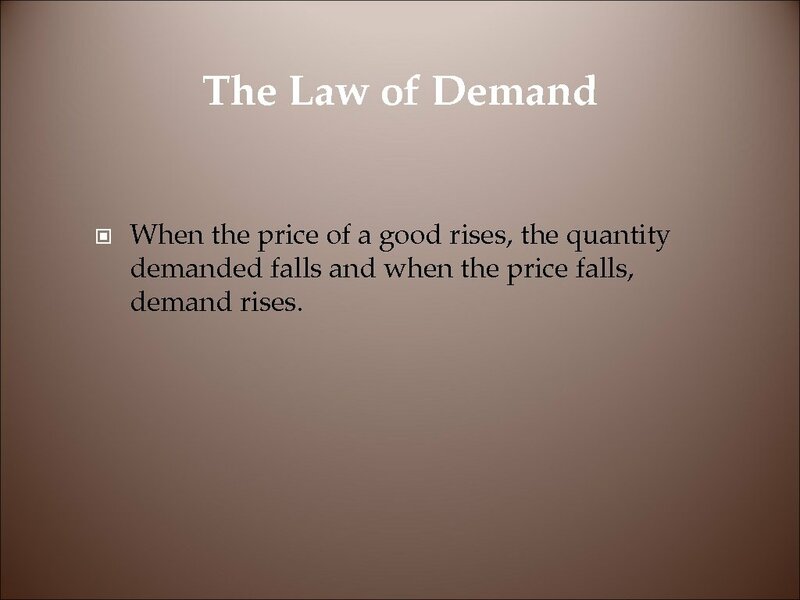 The Law of Demand © When the price of a good rises, the quantity demanded falls and when the price falls, demand rises. 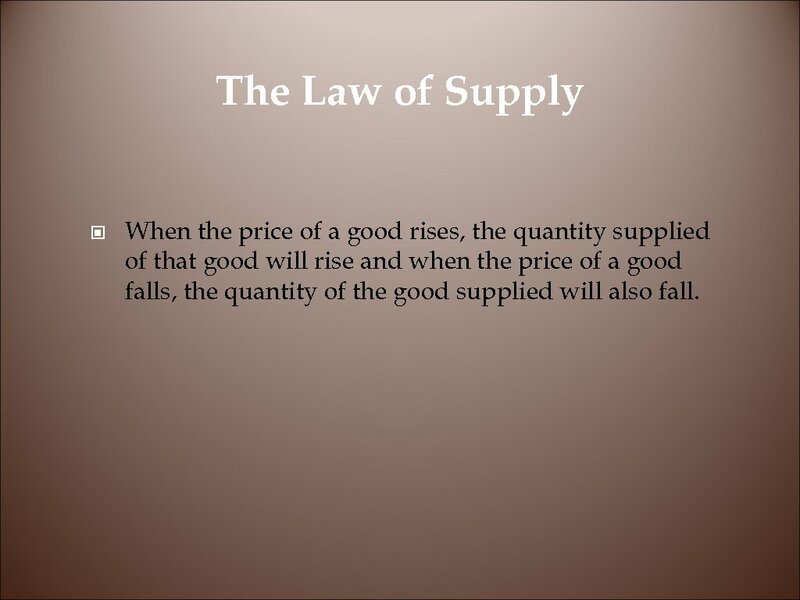 The Law of Supply © When the price of a good rises, the quantity supplied of that good will rise and when the price of a good falls, the quantity of the good supplied will also fall. 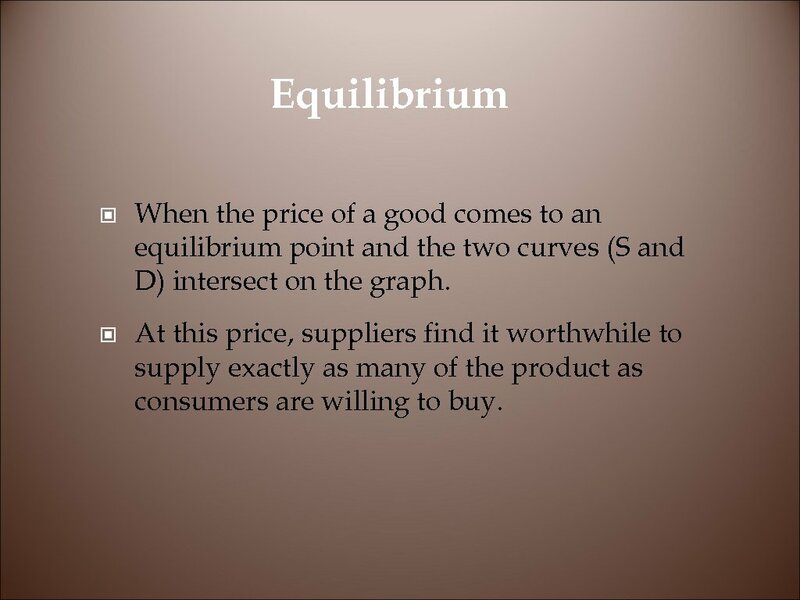 Equilibrium © © When the price of a good comes to an equilibrium point and the two curves (S and D) intersect on the graph. 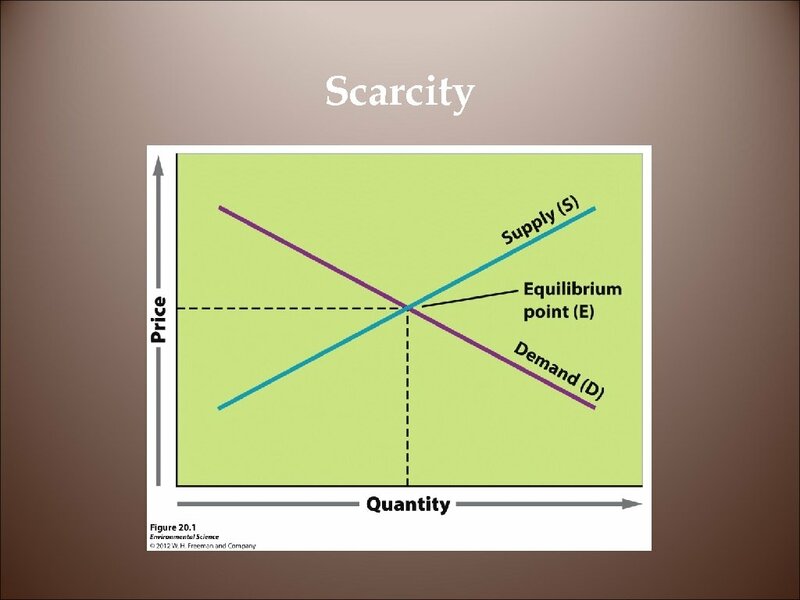 At this price, suppliers find it worthwhile to supply exactly as many of the product as consumers are willing to buy. 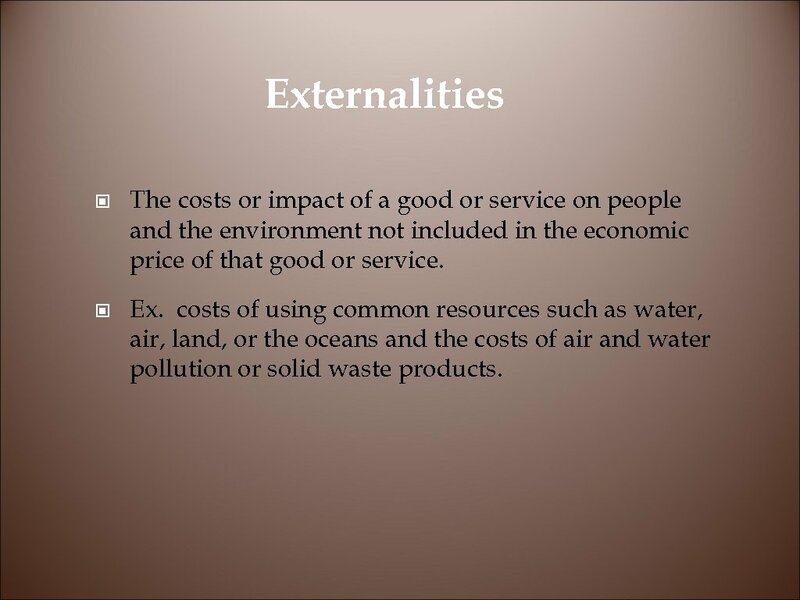 Externalities © The costs or impact of a good or service on people and the environment not included in the economic price of that good or service. © Ex. 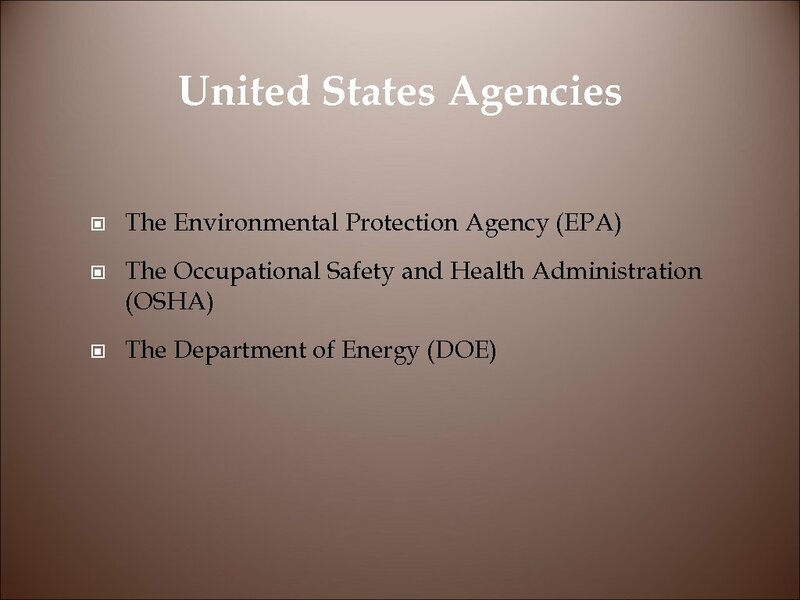 costs of using common resources such as water, air, land, or the oceans and the costs of air and water pollution or solid waste products. 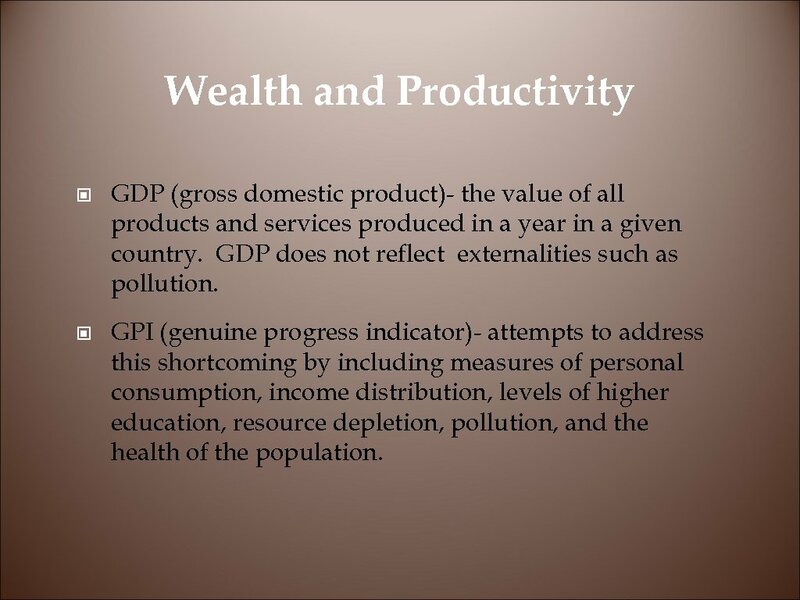 Wealth and Productivity © GDP (gross domestic product)- the value of all products and services produced in a year in a given country. 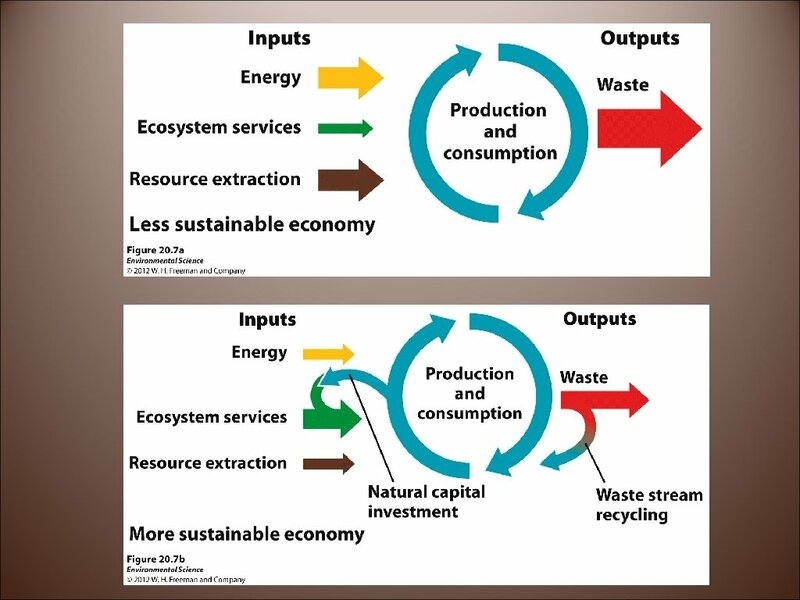 GDP does not reflect externalities such as pollution. 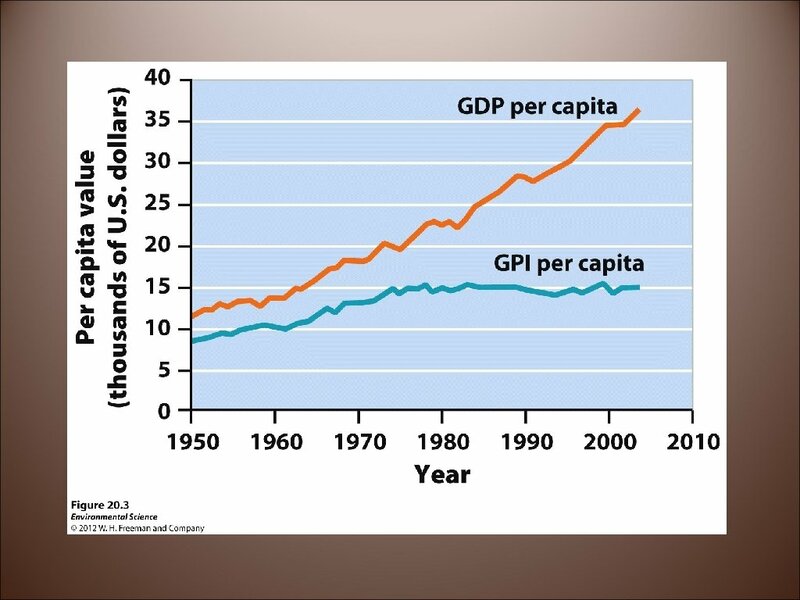 © GPI (genuine progress indicator)- attempts to address this shortcoming by including measures of personal consumption, income distribution, levels of higher education, resource depletion, pollution, and the health of the population. 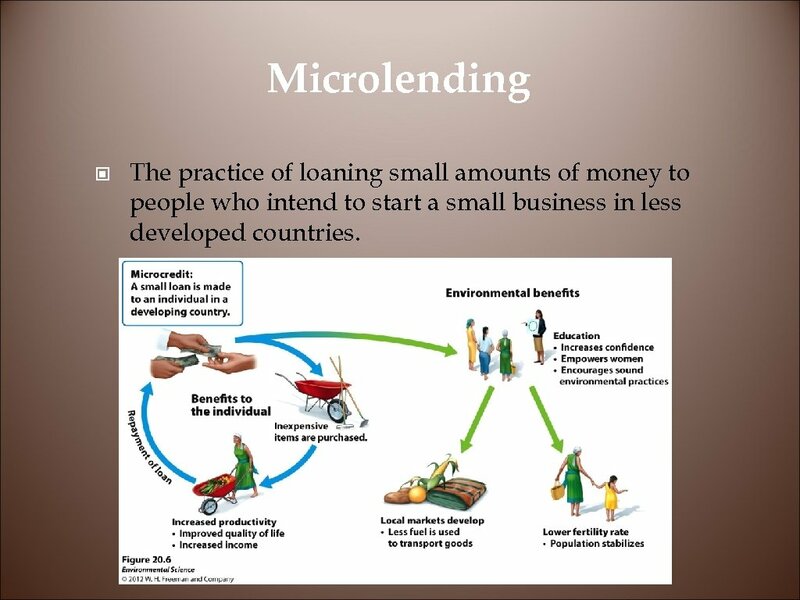 Microlending © The practice of loaning small amounts of money to people who intend to start a small business in less developed countries. 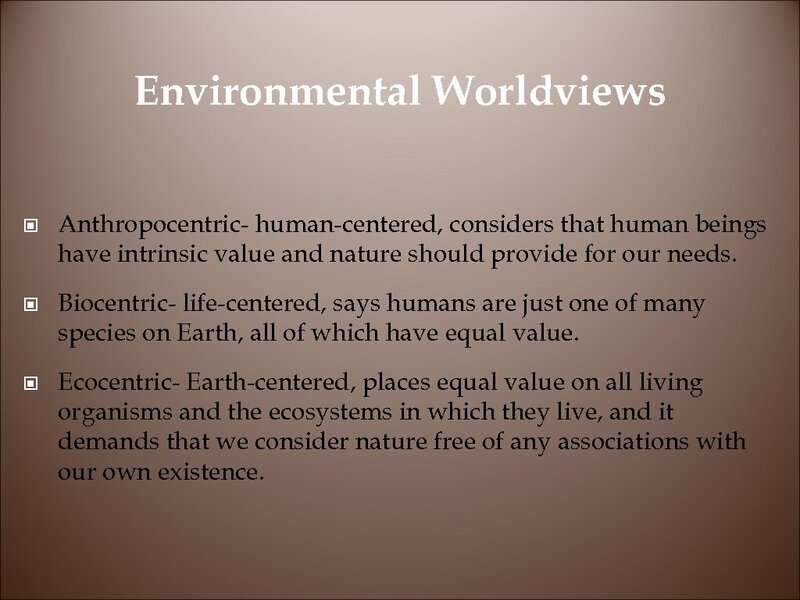 Environmental Worldviews © Anthropocentric- human-centered, considers that human beings have intrinsic value and nature should provide for our needs. 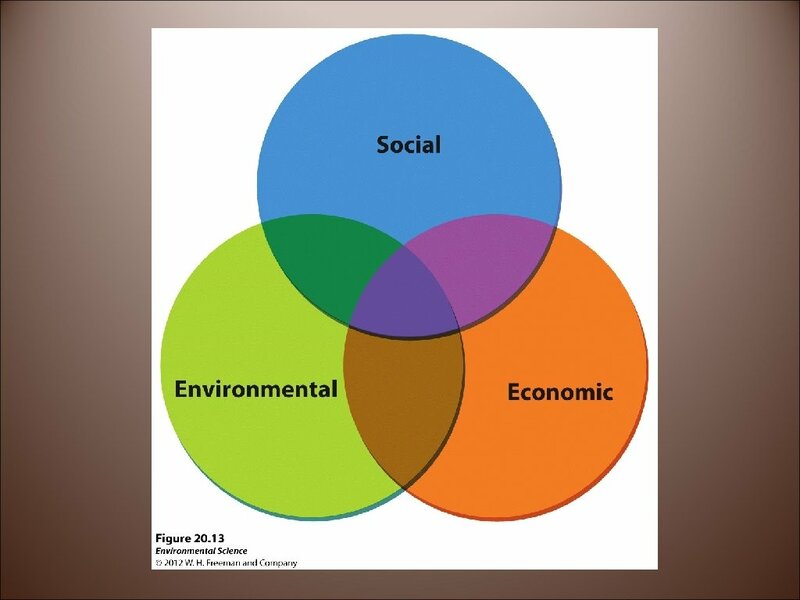 © Biocentric- life-centered, says humans are just one of many species on Earth, all of which have equal value. 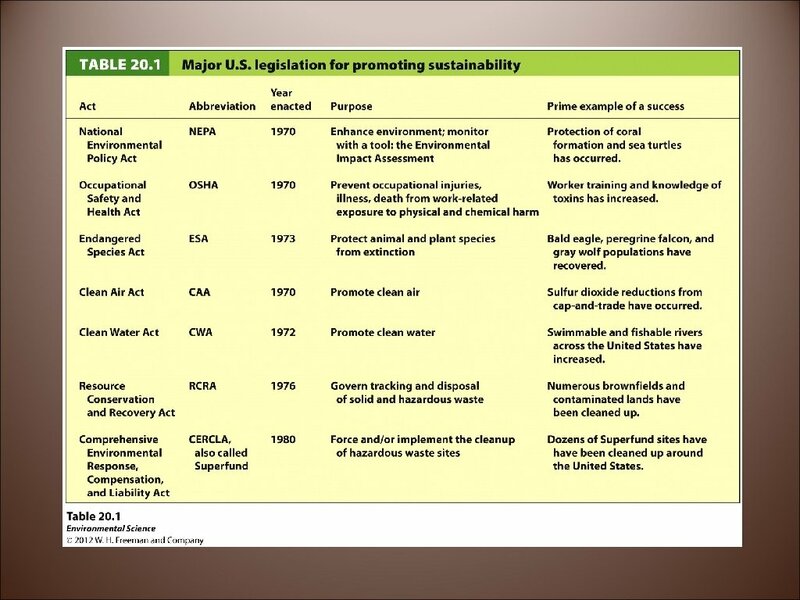 © Ecocentric- Earth-centered, places equal value on all living organisms and the ecosystems in which they live, and it demands that we consider nature free of any associations with our own existence. 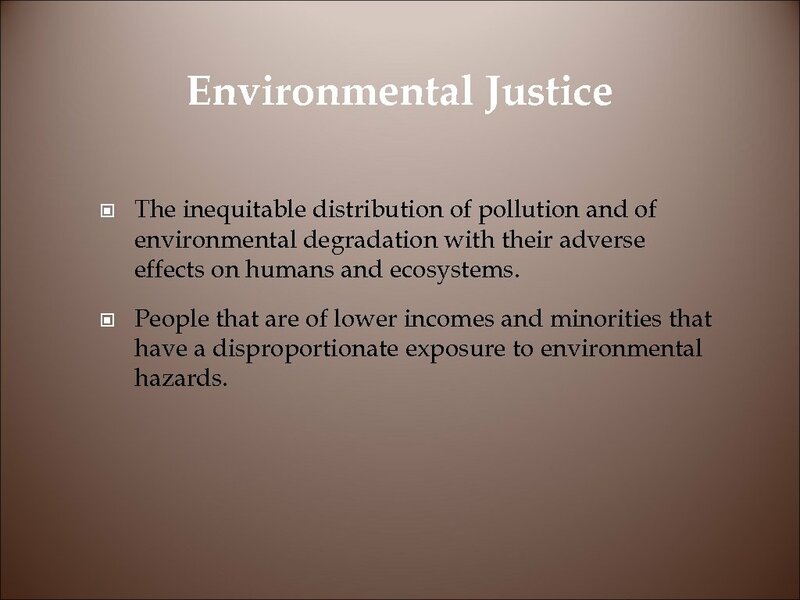 Environmental Justice © The inequitable distribution of pollution and of environmental degradation with their adverse effects on humans and ecosystems. 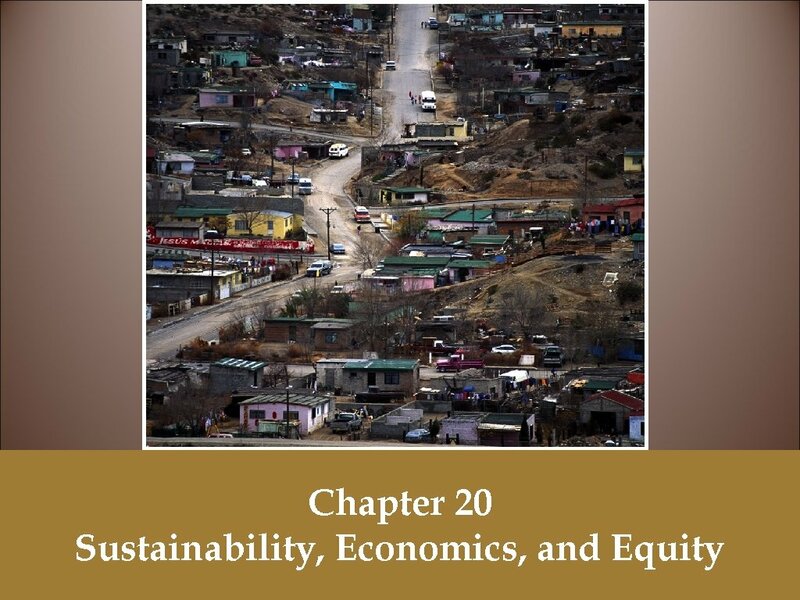 © People that are of lower incomes and minorities that have a disproportionate exposure to environmental hazards.